Peckforton Castle Cheshire is one of my favourite wedding venues to work at. 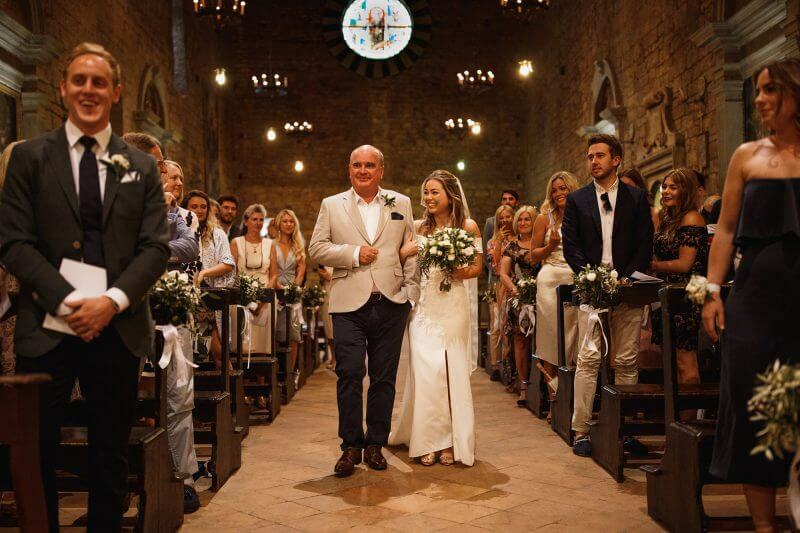 Tarporley is a really small place in Cheshire but hosts one of the UK’s most beautiful wedding venues. I’m such a huge fan of this place I decided to write this post on why I love shooting here so much. 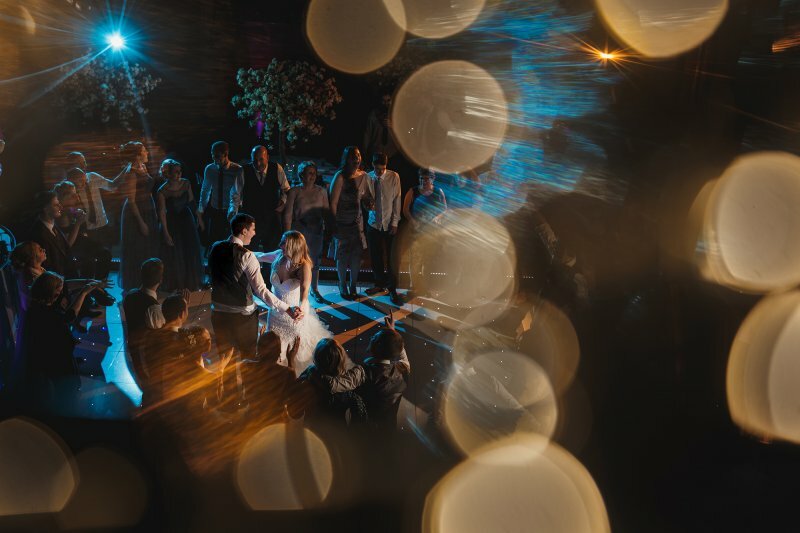 Any wedding photographer would love to shoot at one of the Best Cheshire Wedding Venues. Here is why I love it. You know you are somewhere special here when you drive through the gatehouse lodge on the entrance to the grounds and take a short drive through the woodland approach. Then you know you’re in for a fairytale wedding when the castle emerges. As a photographer that has a real natural approach to my work. The natural woodland surroundings is a perfect location to compliment my photography. You really are in for a Heavenly wedding if this is your wedding venue of choice. 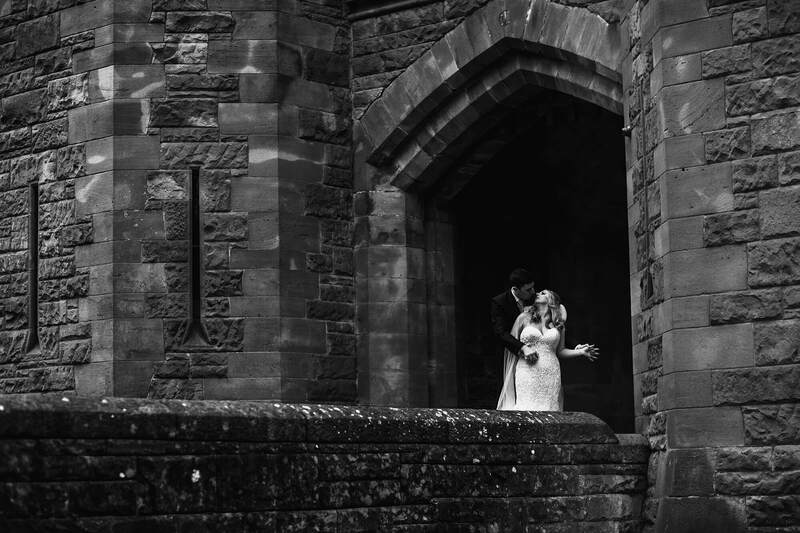 Weather your having a Peckforton Castle Winter Wedding or a sunny one you’ll love it here. Cheshire is a county in North West England and also a neighbouring county to me. Its one of the most beautiful counties in the country. Peckforton Castle is not short of competitors in the area for sure! So many great photographers love shooting both in Cheshire and at this venue. Photographers based all over the UK hope to shoot weddings here. Although I love to travel with my photography and shoot all over. Its really nice to shoot here at Peckforton as its real close to home! 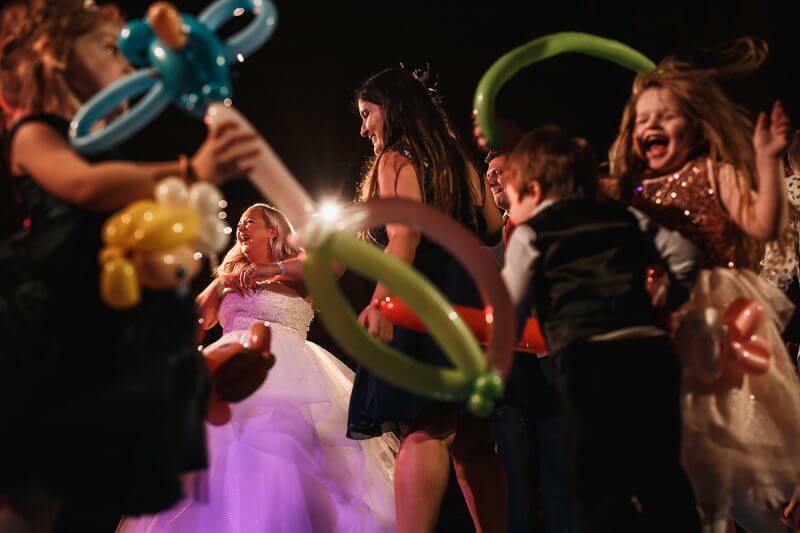 Many brides, grooms and even wedding photographers think this venue is too dark. However for me this is one of the reasons I love it so much. The reason for this is that when you have dark places, the light is much more beautiful. Photography is all about light and light is practically a tool. So here at Peckforton I’m able to make much more use of my “tools” because it is dark. From some of the sample photographs I’ve displayed here in this post you can see how beautiful the light is! 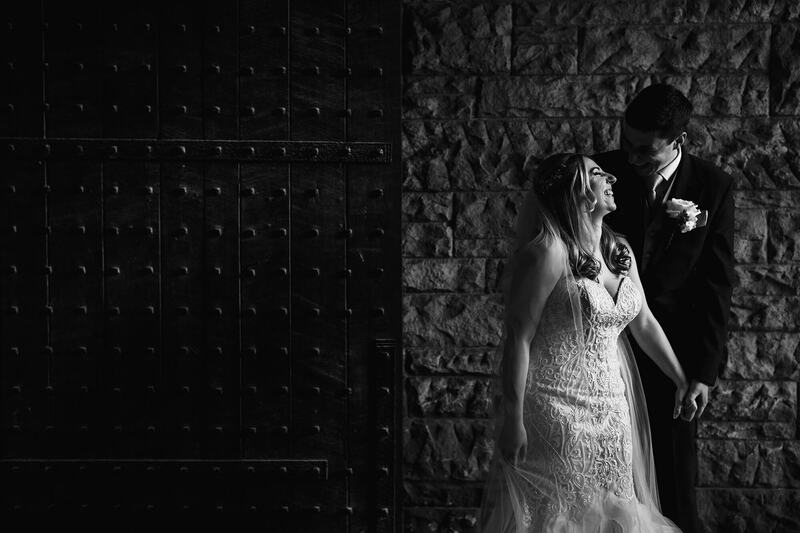 This particular image is from Sam and Sarahs Peckforton Castle Wedding. 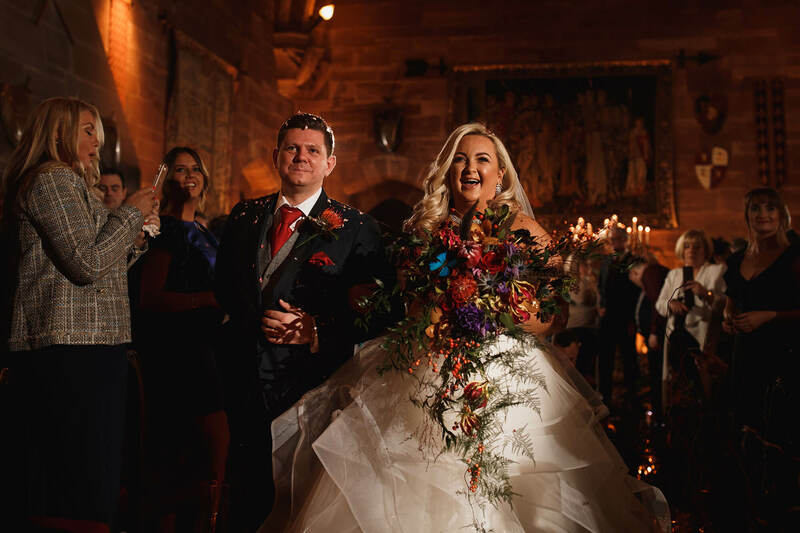 I could go on and on about this wedding venue and how much I love being a Peckforton Castle Wedding Photographer, though I can save that for a Skype call if you would like to have a chat about your wedding and what you have planned.